Chicago, Ill. (October 25, 2011) – Giovanni D. Giannotti, MD, FACS a distinguished surgeon at Saints Mary and Elizabeth Medical Center (SMEMC) received the 2011 Physician CARES Awards. He was recognized at the Oct. 19 SMEMC medical staff quarterly meeting and also honored at a medical center reception. In practice for 16 years, Dr. Giannotti is board certified in surgery and surgical critical care. Using minimally invasive approaches, he specializes in general surgery with a focus in cancer involving the breast, head and neck, colorectal and liver diseases. He joined SMEMC in 2005. The surgeon was recognized for promoting the medical center's CARES values -- Compassion, Accountability, Respect, Excellence and Service. Each year, SMEMC recognizes one or more physicians who advance the practice of medicine through volunteerism, health care access, service, compassion and community service. Medical staff and employees can nominate physicians. Through an anonymous process, a committee selects the doctor who best meets the CARES criteria. "Dr. Giannotti is a highly skilled surgeon who has a big heart and is admired by his colleagues and his patients," said Margaret McDermott, past executive vice president/chief executive officer, SMEMC. "Whether it's a simple procedure or complex surgery, he spends considerable amount of time with his patients reviewing all the details so they know what to expect. Achieving the best possible results for each patient is his goal and he does an extraordinary job." He received his medical degree from Creighton University School of Medicine in Omaha, Neb. He completed his residency at the Chicago Medical School in North Chicago. He completed fellowships at Jackson Memorial Hospital – University of Miami School of Medicine in Miami, and the University of Illinois College of Medicine in Chicago. "I was completely taken by surprise," Dr. Giannotti said. "I feel humbled and honored to receive this award. It encourages me to continue providing good care to my patients." Earlier that year, Dr. Giannotti was named to U.S. News Top Doctors list. 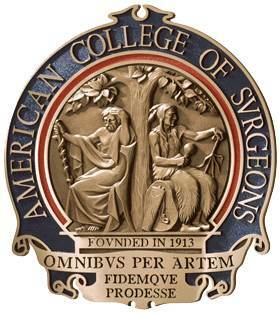 He was among 28 physicians from SMEMC included in the online directory. The free directory features nearly 30,000 U.S. physicians nominated by their peers and is available at www.usnews.com/top-doctors. 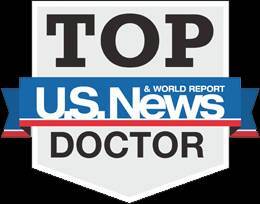 Dr. Giannotti was named to U.S. News Top Doctors list.